A GeekyMomma's Blog: K12 Online Conference; This is for YOU! K12 Online Conference; This is for YOU! 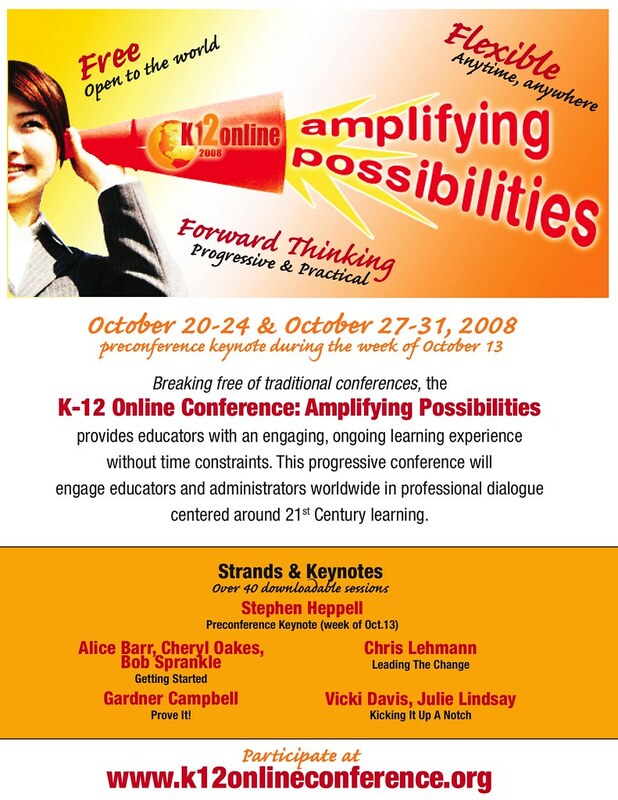 The 2008 conference theme is “Amplifying Possibilities.” This year’s conference begins with a pre-conference keynote the week of October 13, 2008. The following two weeks, October 20-24 and October 27-31, forty presentations will be posted online to the conference blog (click here) for participants to download and view. Live Events in the form of three “Fireside Chats” and a culminating “When Night Falls” event will be announced. Everyone is encouraged to participate in both live events during the conference as well as asynchronous conversations.